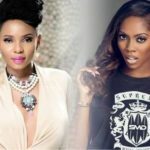 During Yemi Alade’s recent interview on Hot 93.7 Fm, one of the OAPs, Misi, rated her higher than Tiwa Savage in terms of vocal range. 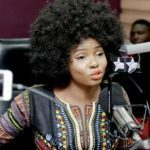 Yemi Alade was on the Koffee Gang show hosted by Sensei Uche and Misi, during the show Yemi spoke about the success of her European tour and her exposure to better social environments in western cities, comparing them to the Nigerian situation and concluding that Nigeria is far behind. In the middle of these talks, Yemi Alade treated her listeners to a short singing session, which led her hosts to compare her to other songstresses in the country, particularly Tiwa Savage who is considered the Queen of Afro-pop. One of the OAPs, Misi, aired an unpopular opinion, stating boldly that Yemi Alade has a better vocal range than Tiwa Savage. 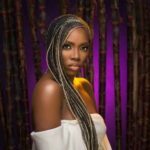 Misi further stated that Yemi Alade sings beautifully but Tiwa Savage shouts. Yemi no reach Tiwa Savage abeg!!! What does she know about music and vocal range? 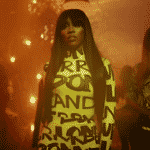 Yemi is good based on her noisy and danceable tunes but TIWA is generally the QUEEN.